Bring your lawn chair to the historic Exchange District and set up for a weekend of reggae. The Soca Reggae Festival is a celebration of Caribbean dance and music (Soca, Reggae and Calypso). Embark on a one-of-a-kind tour of Winnipeg’s illustrious rock ‘n’ roll history with Heartland Travel. See the house where Neil Young lived and began his song writing career, and the home where Burton Cummings and Randy Bachman of the Guess Who wrote These Eyes, No Time. The tour is packed with vintage photographs, music and plenty of colourful stories. Manitoba is getting another night market! Don’t miss this unique event at the Assiniboia Downs, filled with activities, crafts from local artisans, food truck fare, live music, beer gardens and more. Located 20 km north of The Pas, Clearwater Lake Provincial Park is best known for its lake of the same name, which takes up a beefy half of the park. This deep (clear to the bottom at 11 m), spring fed lake boasts stunning quality and provides ideal conditions for lake trout to flourish. While an obvious hot spot for anglers, Clearwater Lake is also popular for camping, kayaking, SUPing, boating, and in general, spending a blissful day on the water. Accessible via a self-guided trail is one of nature’s great achievements – the caves – made up of giant chunks of rock broken off from the dolomite cliffs. 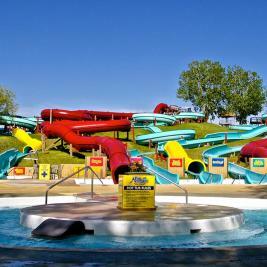 Want to dive into a piece of Manitoba’s culture this weekend? Head to Gardenton for a celebration of Ukrainian heritage, complete with performers, traditional fare (mm, perogies) and guided tours of the museum. Learn about Brandon’s heritage on this exciting two-day event that opens the doors to some of the city’s most stunning buildings. You will have the opportunity to explore buildings that hold a historical and architectural significance, many of which are not normally accessible to the public. Pinawa Dam was Manitoba’s first hydro-electric generating station. Today, it stands as a Manitoban ruin and a memory of days past. Walk the Old Dam trail and find the 13 interpretive signs that explain the structure’s history. 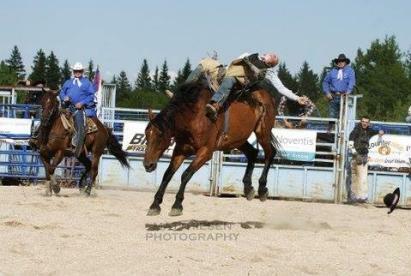 Summers in rural Manitoba just wouldn’t be the same without a good ol’ fashioned rodeo. The Arborg Fair & Rodeo is a family-fun event complete with horse shows, a parade, barnyard olympics, a kid zone and more. 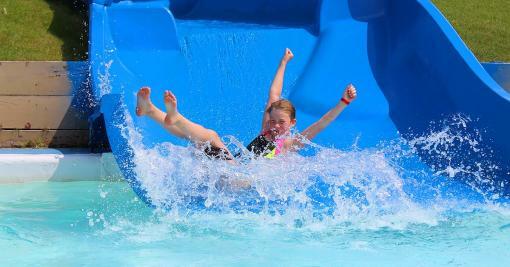 While the seven waterslides are of course the main attraction, Fun Mountain also features bumper boats, mini golf, a splash pad, giant hot tub, and smaller slides for smaller kids. Visit the Fort la Reine Museum to see the international travelling exhibition from the Anne Frank House in Amsterdam. Learn about Anne Frank’s time in hiding during the Holocaust and of the Canadian participation in WW2. Celebrate independent film in one of Canada’s most beautiful national parks. The film fest includes documentaries about environmentalism, agriculture, adventure, local food movements and regionally inspired stories. Digital media camps will take place in Dauphin and Wasagaming while ‘A Taste for Film’ will take place at the Visitor Centre Museum and feature a gourmet selection of locally sourced dishes.